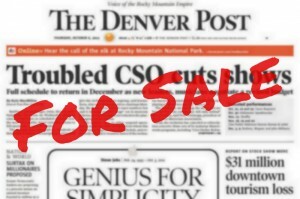 DENVER NEWSPAPER GUILD and Denver Post representatives met May 24. The union presented a counter-proposal concerning District Managers and Assistant District Managers including a four-day, 36-hour work week, the implementation of a time-tracking system to assure employees are paid for all hours worked and no layoffs in the department for the life of the agreement. Management countered with a 10 percent reduction in hourly pay but no reduced hours, no time clock and a 10 cent per mile reduction in mileage reimbursement. The union then proposed to reduce pay to amounts agreed to in 2009 equaling a 7.5 percent cut for District Managers and a 6.75% cut for Assistant District Managers, a time clock, no layoffs and a 10 cent mileage reduction. The issue was set aside to be discussed at a later date. Management responded to the union’s last proposal concerning the customer service call center. Management explained the savings the Post could achieve by outsourcing call center work to Honduras was greater than the amount estimated by the union. The union committee accepted management’s number and asked to discuss how to achieve the difference. Management then explained that they do not believe components of the union’s proposal, specifically the merger of inbound and outbound staff and functions, would work. The session ended without any resolution of the issue. The next bargaining session has not been scheduled. This is because a lot of people have been working extra hours for free for years and now they expect it. Will we ever learn from our pass mistakes! No free work!!! We have given Dean enough.